We are a small, family owned company in Redmond, Washington, USA! 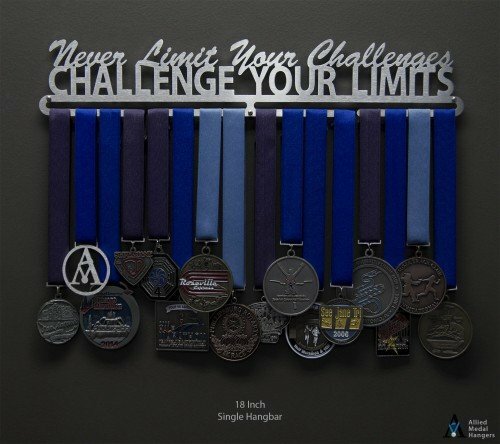 All of our medal hangers are designed, cut, grained, and packaged here in our shop. 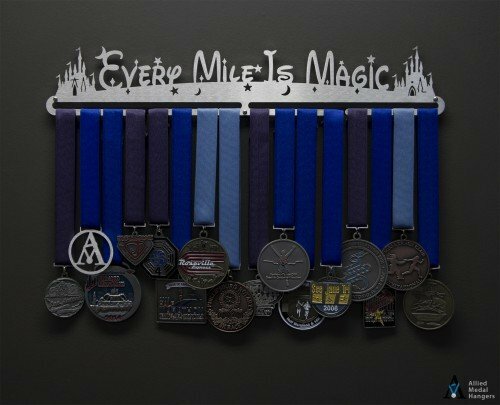 We work hard to ensure timely, courteous service and the best, most reasonably priced medal hangers money can buy. Our customers love us and the feeling is mutual. 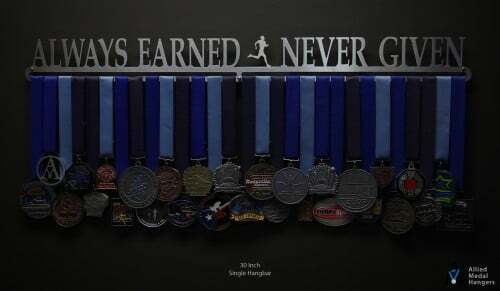 Keep Running! Please, feel free to browse our departments for our standard display selection, or build your own in the custom display section! And if you're looking for something custom above and beyond the options you see there, do not worry! 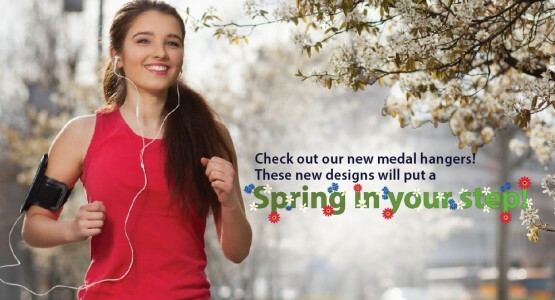 We can and will make nearly anything you can think of! We take pride in our customer service because that's what we're here for - to serve YOU! So don't be shy, we're just an email or phone call away. Here is our contact information. 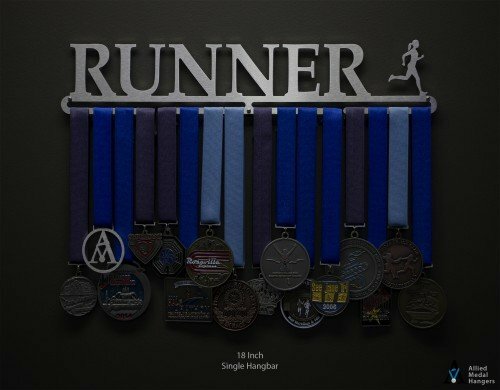 Do you own a running specialty store, are organizing a large sporting event, or otherwise need a large order of displays? 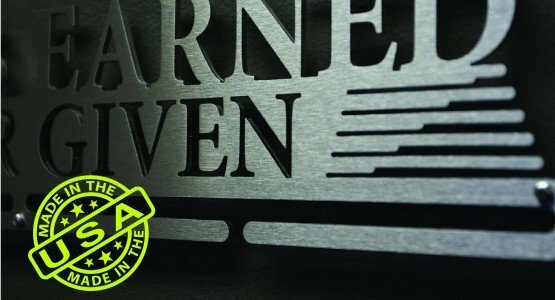 We are able to fulfill orders of any quantity, and offer special bulk pricing on large orders. 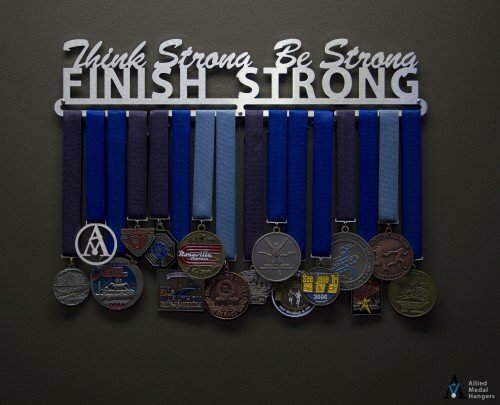 Let us help you make a statement with high quality medal displays. Contact us through our contact form, and we'll be happy to explain all the options available to you.